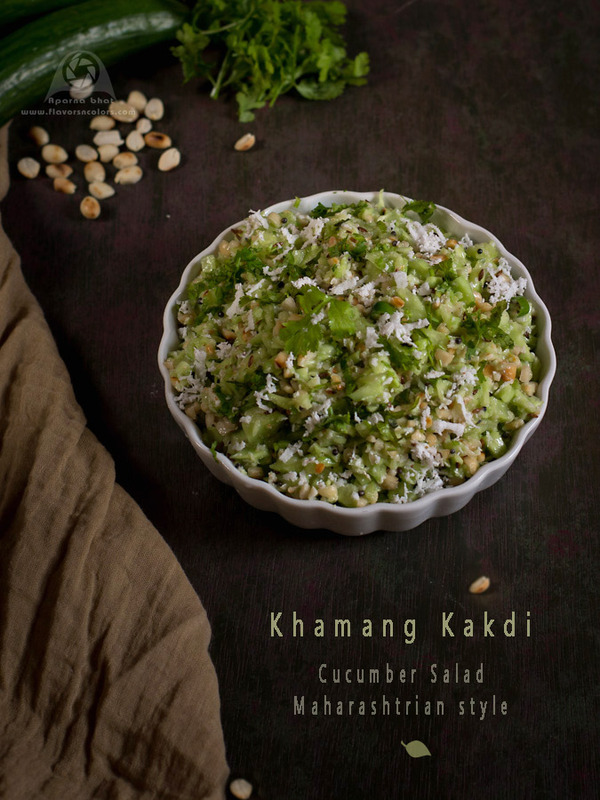 “Khamang Kakdi”, is a simple Maharashtrian salad made with cucumbers. Fresh crunchy cucumbers are tossed with peanuts, coconut, lemon juice, green chilies, salt, sugar, coriander leaves and later dressed in a warm tempering. Tempering makes this salad truly delicious and flavorful as suggested by the name. You can enjoy it as side dish to your main meal or snack on this refreshing salad in between your meals. Peel, wash, cut into half, and finely chop cucumbers. 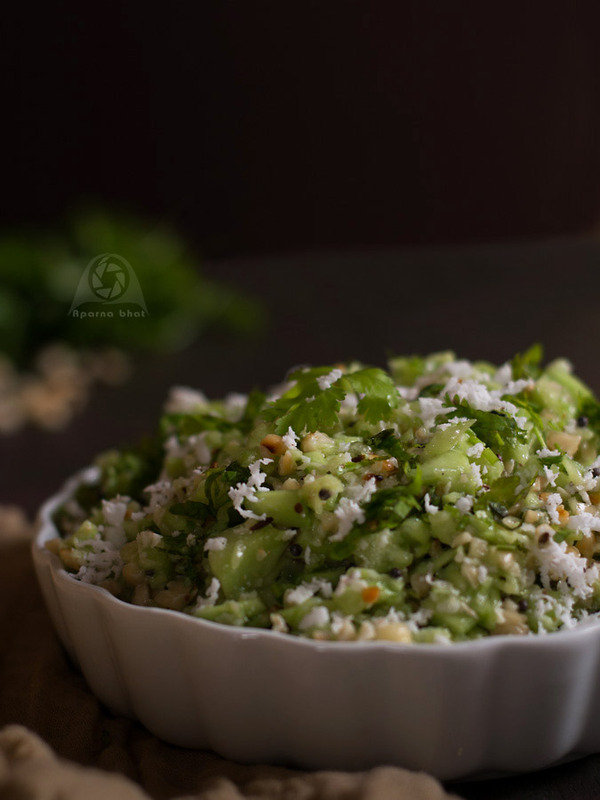 In a big bowl place chopped cucumber, chopped green chillies, crushed peanuts, chopped coriander leaves, 3 tbsp of grated coconut, lemon juice and sugar. Mix it well. Heat ghee in a small pan. Add mustard seeds, when they splutter add cumin seeds and stir it for few seconds. Add pinch of asafoetida and pour this tempering on the mixture in the bowl. Add salt as per taste, mix it well and garnish with remaining chopped coriander leaves and scraped coconut before you serve. Enjoy! This one is my favorite, great presentation. Copyright© 2012-2017 Flavorsn' Colors. All rights reserved. Powered by Blogger.